We are manufacturer of Stucco Trowels. 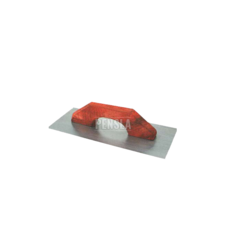 The company is the finest suppliers of Plastering Trowel. 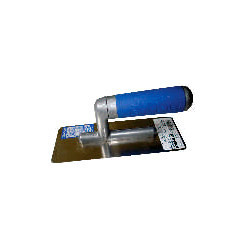 The Plasteing Trowel is designed for flat use after use & can exert pressure of hard trowling. The flat blade of the Plastering Trowel makes applications easier for a more consistent finish. - Carbon steel blade is attached with rivet and factory cross ground for "perfect feel"
The Plastering Trowel covers large areas quickly making long textures apply easier.